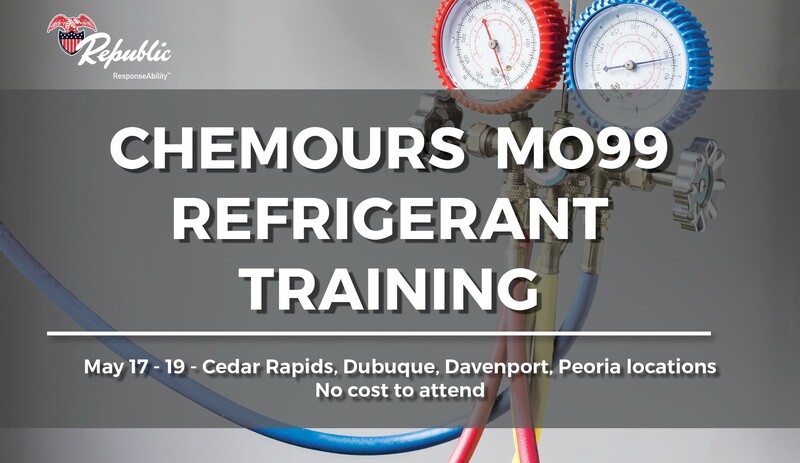 Republic is pleased to announce a new training opportunity to learn about MO99 refrigerant. As the price of R22 continues to rise, so does the importance of learning about the alternative – MO99. These classes will be led by a certified Chemours rep and will allow you to begin using the less expensive MO99 refrigerant.